Cub Foods, Inc. is a chain of grocery stores in the United States with locations in Minnesota and Illinois. In the beginning, the company’s name stood for Consumers United for Buying, and it was a discount grocer. You can find a link to get a Cub Foods application by going through the application links at the bottom. The grocery chain is a subsidiary of SuperValu, Inc. SuperValu is a publicly owned company which is traded as SVU on the NYSE. SuperValu is headquartered in Eden Prairie, Minnesota, and its CEO is Sam Duncan. The corporation runs more than 3300 stores and employs over 45,000 people. Cub Foods is headquartered in Stillwater, Minnesota, and has 77 locations. 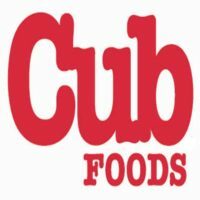 Cub Foods was founded in 1968 in Minneapolis, Minnesota by Charles Hooley, Jack Hooley, Robert Thueson, and Culver Davis Jr. It grew out of the Hooleys Supermarkets chain. SuperValu acquired the chain in 1980. The grocery stores have a bakery, a deli, and a pharmacy, and they sell liquor as well as groceries. The grocer and its parent company are committed to reduce waste and promote environmental sustainability by reducing their carbon emissions, reducing their landfill waste, educating their employees about their green programs and goals, and selling green products in their stores. The grocer encourages shoppers to use reusable shopping bags as well. Career opportunities exist in the retail stores, the warehouses, at the corporate level, and in the pharmacies. Some examples of available corporate careers are Senior Adobe Developer, Java Developer, Network Engineer, Infrastructure IAM Project Manager, Technical Analyst Pharmacy, Digital Solution Architect, System Engineer – Identity and Access Management, and Demand Analyst. Entry-level and in-store job opportunities are available on the website as well. Some of these positions are Assistant Store Director, Store Director, Customer Service Manager, Cake Decorator, Deli Manager, General Manager, Clerk Salad Bar, Clerk Courtesy, Clerk Frozen/Dairy, Stocker, Pharmacy Technician, and Meat Clerk. You can get a free application at the website. How old do you have to be to work at Cub Foods? You must be 16 to work at Cub Foods. Many positions are ideal for young people who have no previous experience with working. You can read a job description on the website for any position that interests you. Benefits packages provided by the grocer are competitive. They do vary by location and by type of employment. Plans may include medical with dental and vision, prescription, 401(k), disability, life, tuition reimbursement, vacation days, paid holidays, adoption assistance, employee discounts, and more. The stores are open 24 hours a day, 7 days per week. Customer Service Manager – A Customer Service Manager manages the cashiers and the front end of the store. This person trains cashiers, creates schedules, handles problems that arise, provides customer service, and performs bookkeeping tasks. Some management or supervision experience is required. Pay for this position starts around $10.00 to $11.00 per hour. Cake Decorator – A Cake Decorator provides customer service and produces quality bakery products. A Cake Decorator must answer phones and take cake orders accurately, keep track of inventory and produce baked goods accordingly, and keep the area clean and organized. This job requires the ability to lift 50 pounds and work standing up. Pay for this position ranges from about $7.50 to $11.00 per hour. Deli Manager – A Deli Manager provides direct customer service and supervises staff in the deli area in the handling of food and customer service. This person takes phone calls and fulfills orders. A Deli Manager ensures that the deli meets all safety regulations and cleanliness standards and passes inspections. Pay for this position averages around $18.00 per hour. Assistant Store Director – An Assistant Store Director helps the Store Director supervise all of the departments and staff, track the finances, direct activities, and provide customer service. Responsibilities include hiring and training department managers. Management experience and a college degree are preferred. Salary for this position averages around $40,000 per year. What is your availability? The grocery stores are open 24 hours a day, every day, and that means many employees will have to work nights, week-ends, and holidays. It also means candidates with other obligations, like school, can work for the business during their available hours. Let your interviewer know when you are able to work. How important do you think it is to follow rules and guidelines? Working in these grocery stores involves not only following company guidelines, but following government safety laws as well. Adherence to the rules is listed as a requirement in many job descriptions with the company. Let your interviewer know that you understand how important it is to follow the rules. If I told you to mark an item down by 20%, and its original price is $8.00, what price would you mark it? Most positions in the stores require some basic reading and math skills. Your interviewer will want to know that you can follow instructions and that you can perform basic math calculations. Can you meet the physical requirements of the position you want? If the position you want lists physical capabilities as a job requirement, you may need to verify that you can physically perform the work. Many positions require standing, stooping, repetitive motions, and the ability to lift 35 to 50 pounds. What experience do you have? The grocery stores are hiring people for numerous jobs that don’t require any prior experience. If you applied for any Cub Food careers that do require experience or education, be prepared to list your accomplishments. Bring your resume and references with you to your interview. The grocery chain has strict guidelines for its employees regarding hygiene and dress. Make sure that you dress appropriately for your interview and be punctual. You will not be able to get a printable application for Cub Foods at the website. You can look up openings at your local store and fill out a Cub Foods application online. If you would like to know how to apply for Cub Foods online, go to their website below. You can apply online with a direct application. You will not be able to download application form or get a printable application form. You will have to register with the website and undergo their background check to be considered for Cub Foods jobs. If you are interested in a career in the retail grocery industry, you can apply for Cub Foods jobs online. The business is always accepting applications through its online application process. Browse the many job openings at the website and register to get an application form, if you decide to apply for jobs at Cub Foods.